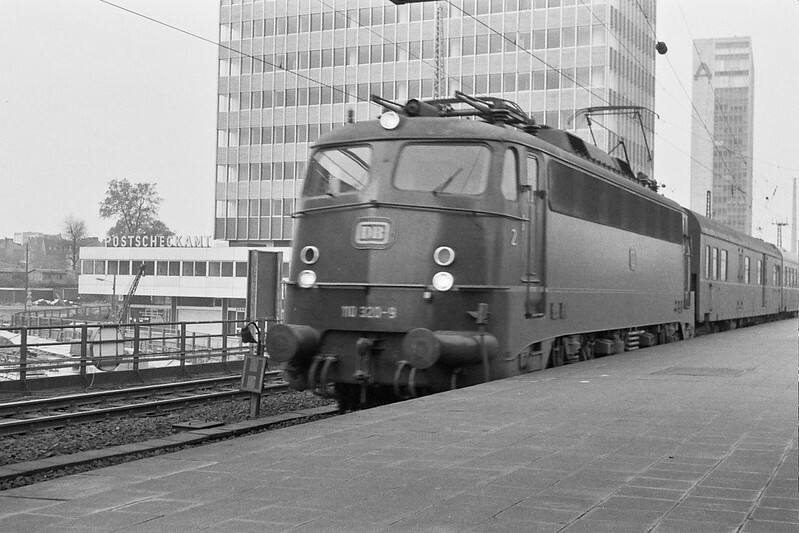 ESSEN – from the Hauptbahnhof eastbound, an AC electric locomotive of a type built in 1963. With a top speed of 150 km/h, it was typical Bundesbahn power for this Cologne – Dresden interzone D-train. The locomotive was based at Cologne-Deutzerfeld. Image published by R. W. Rynerson on 2017-12-18 00:31:18 and used under Creative Commons license.